This was the worst week for gold since the beginning of the year. However, the U.S. dollar continues to bounce back. Gold futures for the week fell 0.2 percent, coming in at around $1,330.30 per ounce. Silver futures for March also saw a decline of 0.6 percent, coming in at $16.49 per ounce. However, even though gold wasn’t at it’ bet, it still was able to post an “ok” recovery by Wednesday. Investors are expecting inflation to go up. A rise in inflation can mean for good news for gold. The Fed suggests that there be an increase in interests rates. They are expecting a rise in interest rates for the month of March. According to Naeem Aslam at Think Markets, the Fed may increase interest rates up to four times this upcoming year. 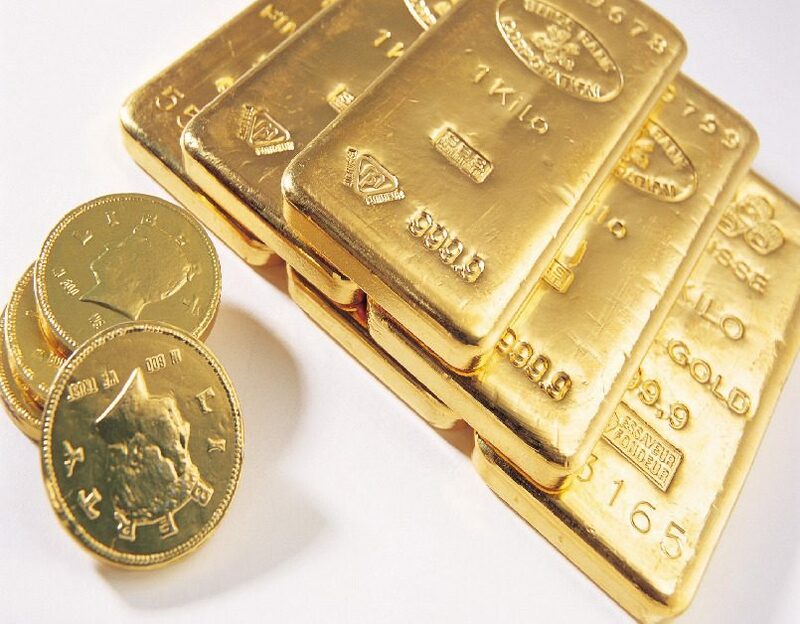 However, with it being the worst week for gold, analysts believe that the interest rate hikes will do the precious metal some good. They see it as a great buying opportunity. For the day, the ICE U.S. Dollar Index was able to tack on 0.2% for the entire day. Also 0.9 for the week. If it were to rise again on Friday, it would be the third most significant session out of four. Last week, the index was at the worst it’s been since 2014. The dollar gaining strength makes for it to be expensive for shareholders. Especially those who invest in other currencies from around the world. Metals such as copper as all fell for the week. It came in 2 cents short, ending at $3.21 for a pound. Platinum for April came in 60 cents short itself. Settling in at $998.90, the precious metal fell 1.3% last week. Palladium futures for March came in at $7.65 short for the week. The metal dropped 0.2 percent.